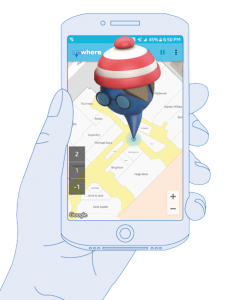 sensewhere Ltd. is pleased to announce that its indoor positioning service has now been used to support 50 billion location requests. The technology has been deployed at scale supporting hundreds of millions of mobile users with an optimized mobile SDK and server system capable of handling the high traffic for crowdsourcing and indoor positioning. The system is being used to drive location-based services for social networking, mapping and ad-tech applications and it interconnects vast numbers of devices around the world delivering location information in a variety of different venues such as shopping malls, airports, hotels, hospitals and schools, powering next-generation location services deep indoors. sensewhere’s location database supports its adwhere™ platform, an intelligence ad-tech service that provides location targeted adverts, visit confirmations and other mobile attributions providing powerful marketing insights and value added services for customers worldwide. sensewhere’s automatic crowdsourcing of data is based solely on location references gathered anonymously via available mobile devices and various transmitters within an indoor space. As the crowdsourcing continues, more transmitters are learned by the software and their locations are refined further providing higher mobile positioning accuracy.